This tile set pack has approximately 85 tiles for you to use to create a side scrolling Platformer type game. 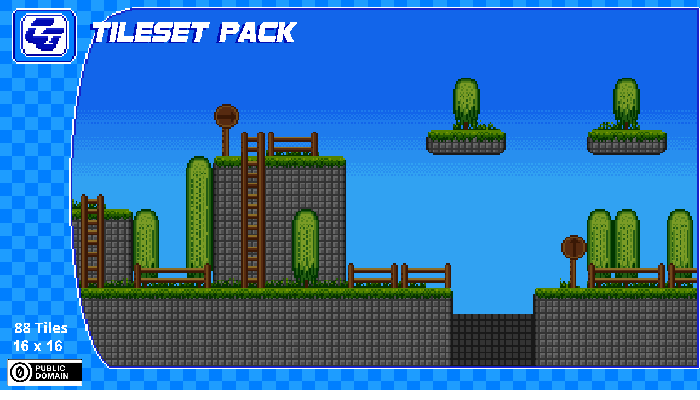 16x16 tiles which include Grass, Fence, Ladders and Sky. Free to use for any project, commercial or non commercial, public domain license, no credit required, but appreciated. Consider supporting me on Patreon so I can improve and continue to create Free and Affordable game assets.